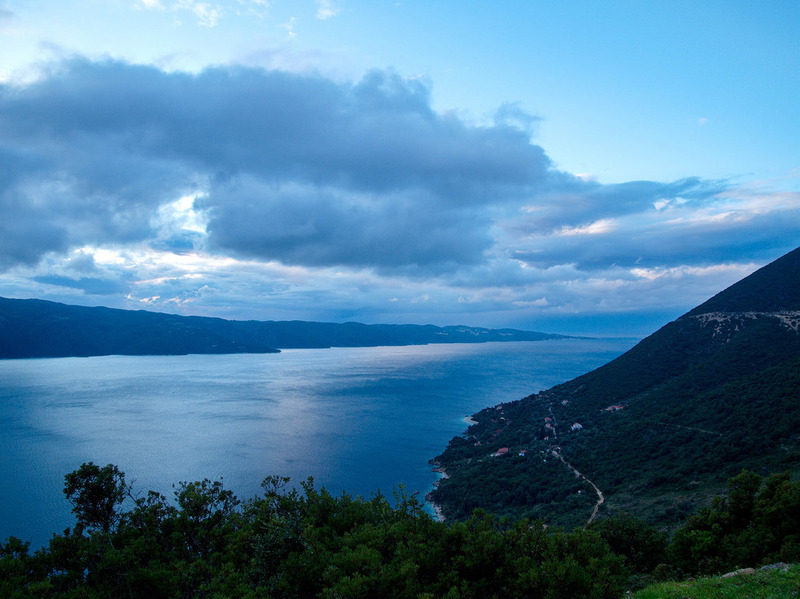 Throughout the ages Ithaca has been known as the home of Odysseus. For years Homer’s hero wandered before he finally returned to his island kingdom. 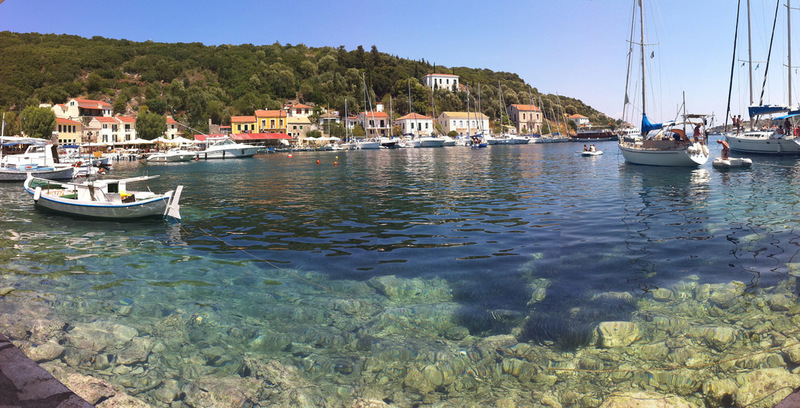 Though he visited beautiful, exotic, far-flung lands, Ithaca never left his mind for a moment. 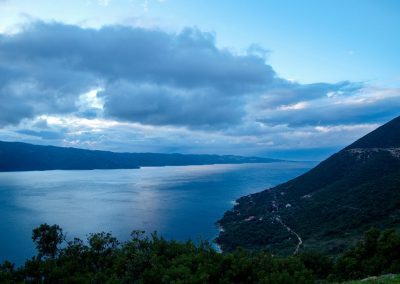 And even today, once you’ve been to Ithaca, it’s difficult to forget this small, mountainous island with its captivating coves that conjure up some earthly paradise. 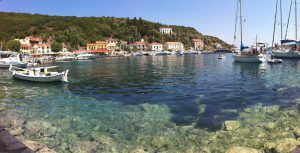 Ithaca is separated from Cephalonia by a channel some 2 to 4 kilometres wide. The west coast of the island is steep and almost barren in contrast to the green, gentle shoreline on the east. The capital and largest settlement is Ithaki or Vathi; its red-roofed delightful houses set amidst enchanting scenery at the end of the deep closed bay of Molos. Taking the capital as a starting point, it’s easy to get to know the island’s landmarks. Three kilometres to the northwest lies the so-called Cave of the Nymphs (Nimfon Cave). 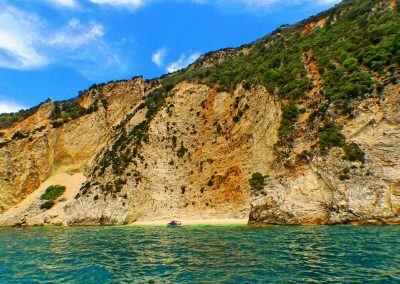 Here according to the myth, Odysseus hid the gifts bestowed upon him by the Phaeacians who deposited him upon Ithaca’s shores ten long years after the end of the Trojan War. Also worth visiting is the medieval Monastery of the Archangels at Perahori. North of the capital and 600 meters above sea level, the Kathara Monastery (Moni Katharon) has a unique view of the island from its bell tower. On the horizon you can make out the mountains of Akarnania, the Echinades islets, the peaks of Zakinthos, the eastern coast of Cephalonia and even the entrance to the Gulf of Patras. The bay of Polis to the west is the site of another cave (Loizos’ cave). This one yielded up sherds on which were carved inscriptions testifying to the worship of Artemis, Hera and Athena. Even more interesting, in the cave were also found recently twelve tripods similar to the other that the Phaeacians were supposed to have given to Odysseus. Stavros, a village 17 kilometres northwest of Ithaki, is a good base from which to explore the northern section of the island. About 1 kilometer north of Stavros is Pelikata; excavations on this hillside between the bays of Polis and Frikes brought to light remains of a small Bronze Age settlement. The finds unearthed there reinforce the theory that the ancient city of Ithaca lies somewhere in the vicinity. 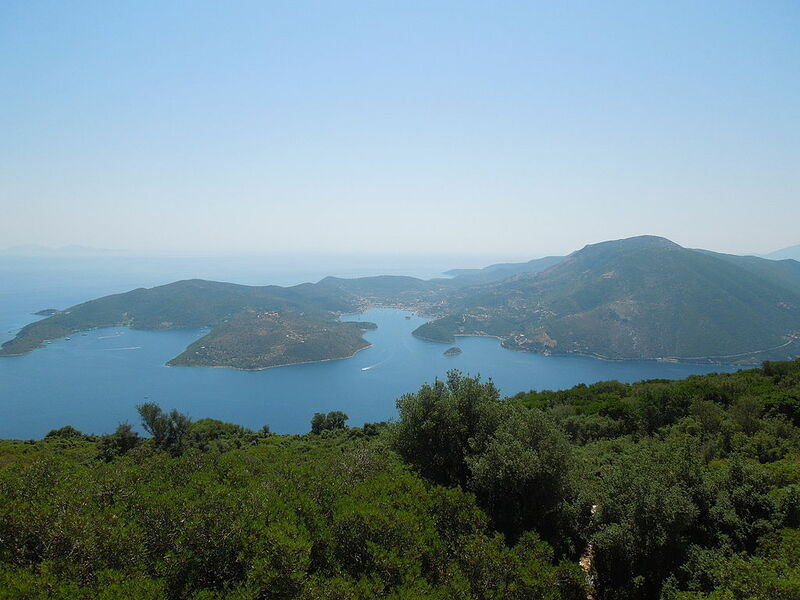 Kioni and Frikes, typically Ionian villages, on the northeast coast are unspoilt, wonderful places for a short excursion or an extended sojourn. 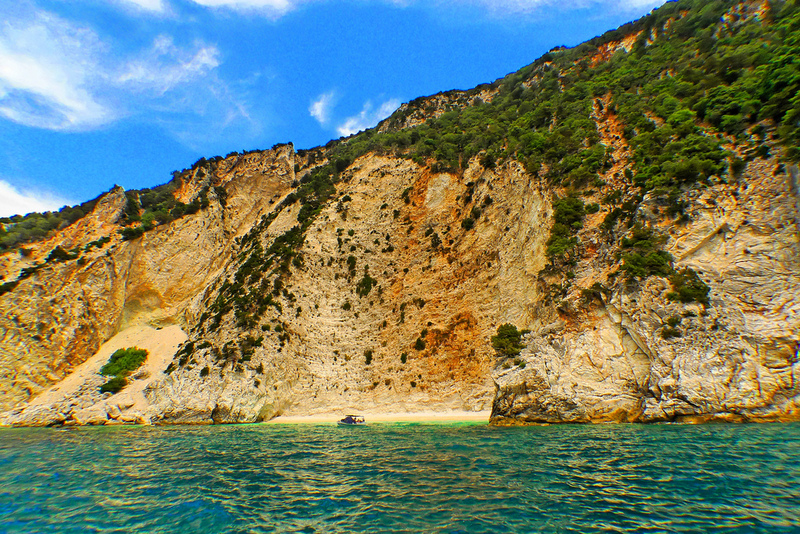 Ithaca offers lovely beaches for bathing, caves for exploring and uncrowded hamlets where noisy nightlife is unheard of. “When you set out for Ithaca”, wrote the poet Constantine Kavafis. 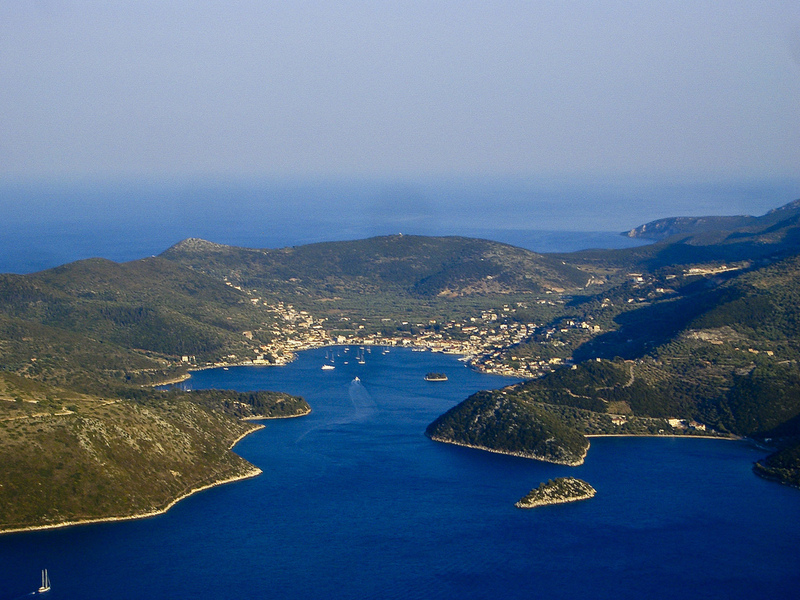 He was refering to Ithaca as one’s ultimate destination. 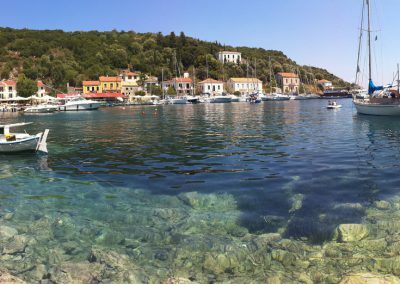 Thus, Ithaca, this verdant Ionian island, may become your own favorite place, a place that draws you back year after year, when you plan your summer holiday.